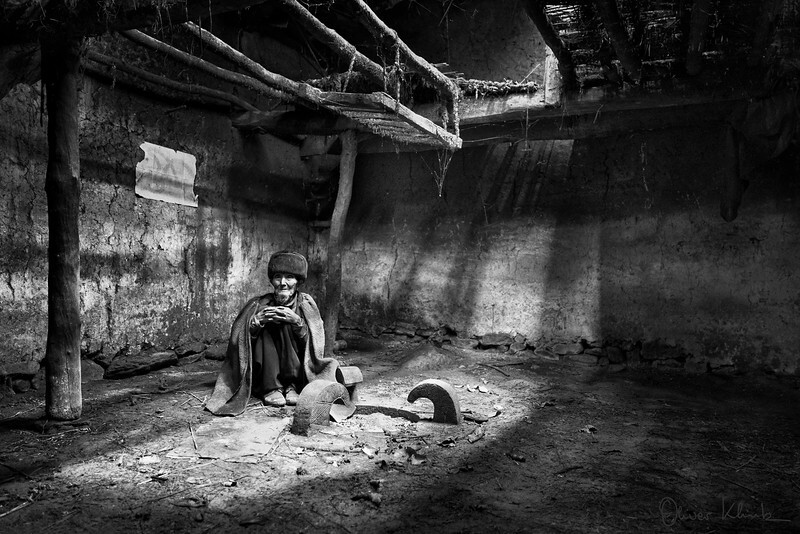 Most Yi houses are low mud-and-wood structures without windows and are dark and damp. Interior decoration is simple and crude, with little furniture and very few utensils, except for a fireplace consisting of three stones. The government offered to build this gentleman a new house, which at first he resisted. His son convinced him otherwise and construction was already under way. The future modern structure will host the extended family to the joy of all.